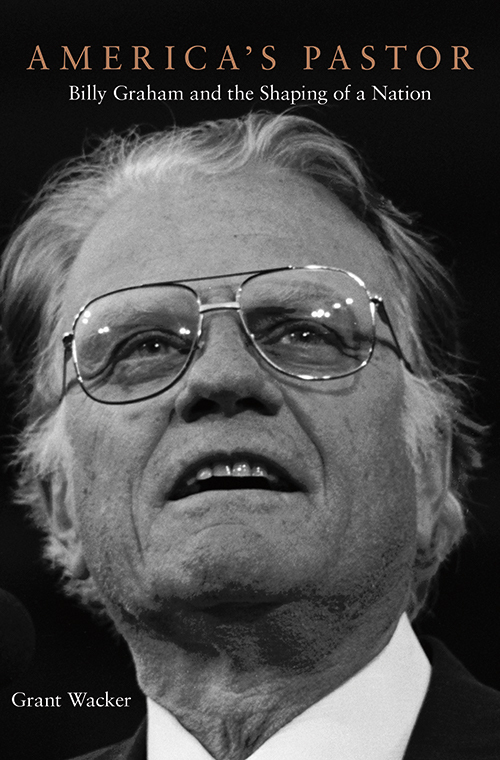 Billy Graham, one of the most influential Christians of the post-World War II era, died on February 21, 2018, at the age of 99. This lecture will explore his enduring impact, in the shaping of Christianity generally and the evangelical movement in particular, in the United States and in other parts of the world. Though not without flaws, his titanic life molded the public’s understanding of the authority of the Bible and the meaning of faith in the turmoil of modern life. Copies of Dr. Wacker’s book, “America’s Pastor: Billy Graham and the Shaping of a Nation”, will be on sale at the event and Dr. Wacker will be available to sign copies after he speaks. Grant Wacker is the Gilbert T. Rowe Professor Emeritus of Christian History at Duke Divinity School. He is the author of “Heaven Below: Early Pentecostals and American Culture” (2001) and “America’s Pastor: Billy Graham and the Shaping of a Nation” (2014), both published by Harvard University Press. Wacker recently completed a narrative biography entitled “One Soul at a Time: A Life of Billy Graham,” to be published by Eerdmans Publishing Company in their Library of Religious Biography series. Copies of Dr. Wacker’s book, “America’s Pastor: Billy Graham and the Shaping of a Nation”, will be on sale at the event and Dr. Wacker will be available to sign copies after he speaks.